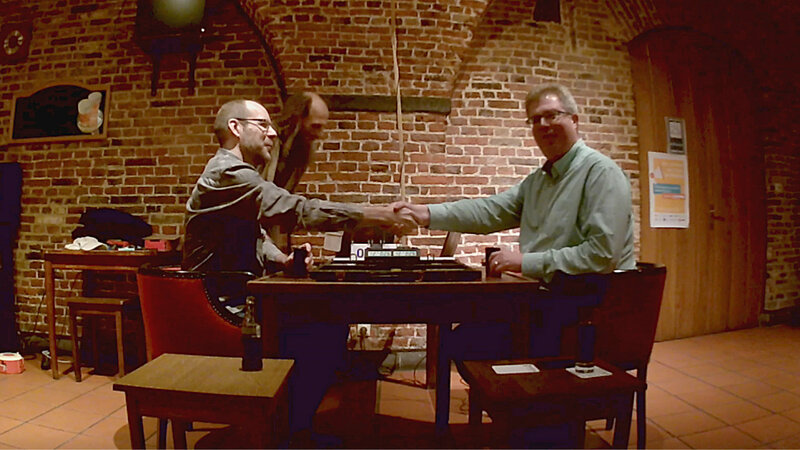 ← Johan Huyck and Paul Van Dijke play BIC Final on Friday 21 December in Gent. Johan Huyck (Gent BC) wins high-quality BIC Final. The 2018 BIC Final between Johan Huyck and Paul Van Dijke (Brugge BC) started punctually at 6 PM. Johan won the first 13-pointer quite easily with a 7+ luck rate and an astonishing below-3 PR, but Paul managed to win the second match to draw level. The third and decisive 13-pointer was again a one-sided affair with Johan coming out on top. Johan (l) and Paul (r) before start of play. XG transcriber Robin can be detected in the background. PR Johan (3 x 13). Johan wins 2-1. PR Paul (3 x 13). Paul loses 1-2. Congrats to both for a well-played, high-level match. A video of the complete final (with XG and commentary) will soon be made available on YouTube thanks to the dedication and efforts of Robin Bilderbeek. 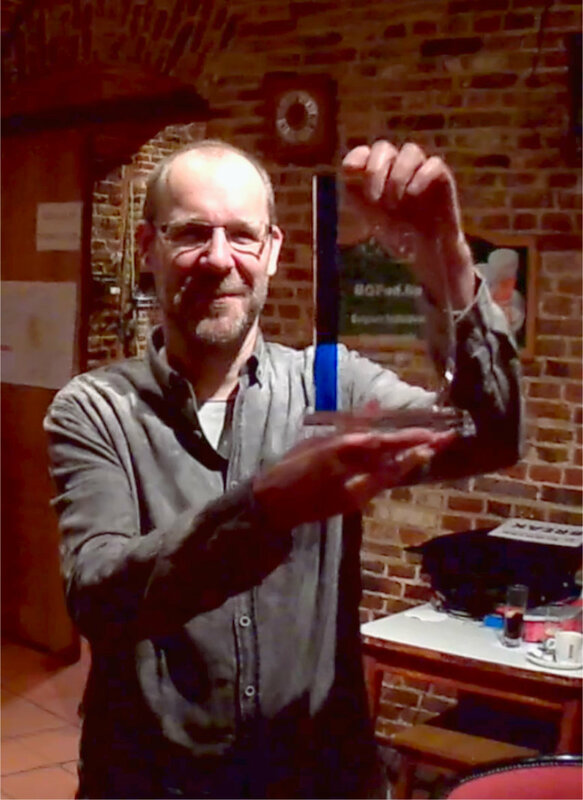 Johan presenting the 2018 BIC trophy.